Just Property is a keystone real estate company that occupies a sizable percentage of the property market in South Africa. Our sales department was established in 2010 and have quickly become one of the most respected property service companies nationwide. Despite the challenging residential property market, we have presented growth and success. As a main player in the real estate industry, we offer friendly professional services towards the sale of the residential sector. As a proprietor, you will have the benefit of a stress-free experience while your property is being taken care of by very capable hands. For those of you who are looking to purchase a property, our accomplished real estate agents will surely find the perfect property that is best suited for your needs. As professional real estate agents, it is our job to understand our clients’ property-related needs and respond to them promptly, professionally and with integrity. We also work hard to deliver insights and advice that you can only get from an experienced estate agent. There are many components to a successful real estate transaction and you can count on us to be there every step of the way. We deliver innovative tools to make your property buying or selling experience exceptional, from buyer education to affordability tests and pre-qualification, to customer service far beyond the closure of a deal. We are the market leaders in property rentals and management with over 17 years of industry experience and assets under management exceeding ZAR 12 billion. Because our comprehensive tenant assessment and property management systems deliver peace of mind to owners and renters alike. 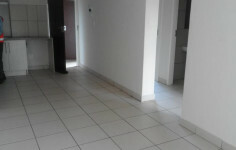 We facilitate both long- and short-term rentals. 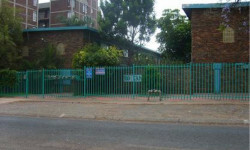 324 Ben Viljoen Street, Pretoria North, Gauteng, 0182.